Making the final submission in the ICJ on the last day of the hearing, Pakistan's counsel Khawar Qureshi said, "India's claim for relief must be dismissed or declared inadmissible"
Pakistan on Thursday asked the International Court of Justice (ICJ) to "dismiss or declare inadmissible" India's claim for relief to Kulbhushan Jadhav, who is on a death row in the country. India on Wednesday questioned the functioning of Pakistan's notorious military courts and urged the top UN court to annul Jadhav's death sentence, which is based on an "extracted confession". Making the final submission in the ICJ on the last day of the hearing, Pakistan's counsel Khawar Qureshi said, "India's claim for relief must be dismissed or declared inadmissible." 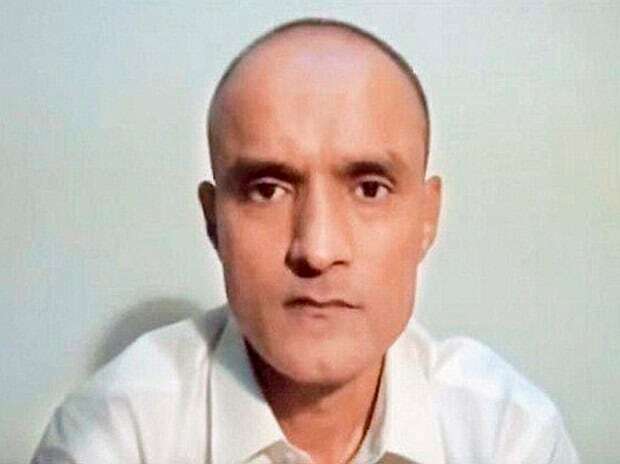 "India's claim for relief (in the Jadhav case) remains as far fetched now as it was then (May 8, 2017)," he told the judges in his concluding remarks. "Jadhav has been charged with terrorism for which an FIR has been registered with the police that is a civilian agency. The military courts have sufficient proof of espionage and the said military court on the available evidence and the judicial confession proceeded to convict him despite he being given the option of going for a judicial review, he has refused to do so," Khan told the court. He said India claims consular access, "surely (it) was not allowed for good reason in terms of the agreement of 2008, specially for the reason that commander Jadhav being involved in espionage." Khan also raked up the Kashmir issue and said Pakistan was awaiting India's response on Samjhauta train blast case and has sought evidence on his country's role in the Pulwama terror attack. After his submission, ICJ top judge Abdulqawi Ahmed Yusuf adjourned the hearing and said a date for the judgement would be announced later. On Pakistan's military courts, he said the International Commission of Jurists and European Parliament have criticised their functioning and added that anything diluting provisions of Vienna Convention must fail. The four-day hearing in the Jadhav case opened Monday amidst heightened tensions between India and Pakistan following one of the worst terror attacks in Jammu and Kashmir by Pakistan-based Jaish-e-Mohammad terror group that killed 40 CRPF soldiers.